Hellheah has released a new song, “333,” which marks the band’s first track to be released off their upcoming studio album. “333,” which has some of late drummer Vinnie Paul’s final drum beats, is out now via digital download and can be streamed below. The music video for “333” was filmed at the Duff’s metal bar in Brooklyn, New York. A special dedication to Paul is at the end of the video, which runs for, as the song’s name implies, three minutes and 33 seconds. 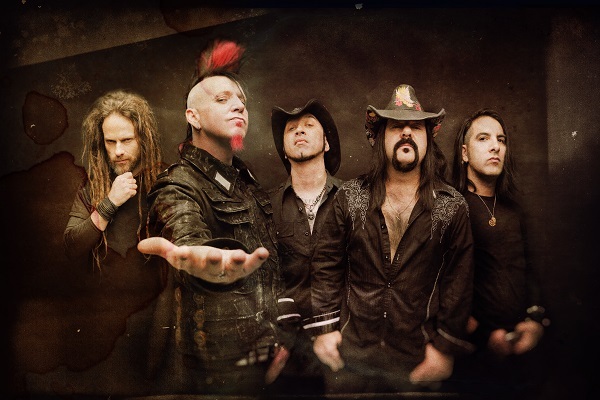 “333” marks the debut single from HELLYEAH’s upcoming, as-yet-untitled new album, out June 28. This release will be the final one with Paul’s drum work. Pre-orders for the record are available now on HELLYEAH’s official website.